As Australia’s leading supplier of printed collateral to the hospitality segment, we quite often get asked what it is we supply. 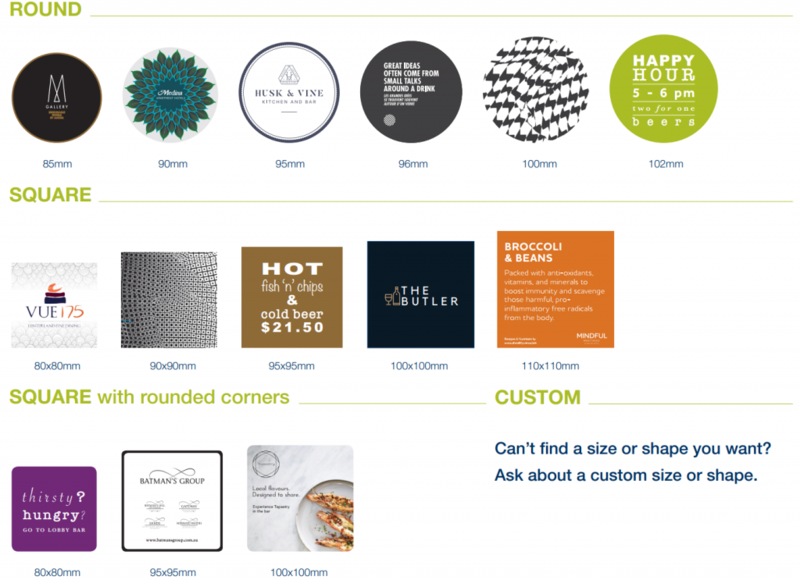 A customised printed coaster will help cross-promote your food and beverage outlets to your in-house guests. We know increasing food and beverage revenue is important! With our customised design, you can expect a fast turnaround and increased F&B revenue. The best part is, we have no minimum quantities. Don’t wait, enquire now.